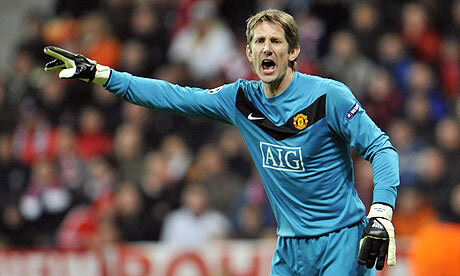 Edwin van Der Sar is best known for representing Juventus and Manchester United, although it is highly likely that many young fans will remember him for the latter. VanDer Sar managed to win multiple titles including the Champions League with the Premier League outfit. He would not have had the opportunity to do so after Juventus let him leave the club in 2001 after seeing the player failed to break the stranglehold of Gianluigi Buffon in the first team. A move to Fulham would not have been envisaged by the player, but his four years at the Craven Cottage provided the steppingstone towards Manchester United and numerous trophies. Ajax Cape Town have revealed that the arrival of Edwin van Der Sar will provide them with a lot of expertise in several areas of the game.“I think this is a great step by the club and directors. We are delighted to have him on board as we all know him as one of the most celebrated football legends of the game.He joins the Cape Town-based directors bringing with him lots of experience and a wealth of knowledge. We are confident that his appointment will benefit the club, the players and everyone involved as he will bring his expertise,” saidEfstathiou about the appointment of Edwin van Der Sar.